Presented by Mrs Ruth van Heyningen, 1990. Earthenware vase of square section with everted neck and painted borders on neck and shoulders. 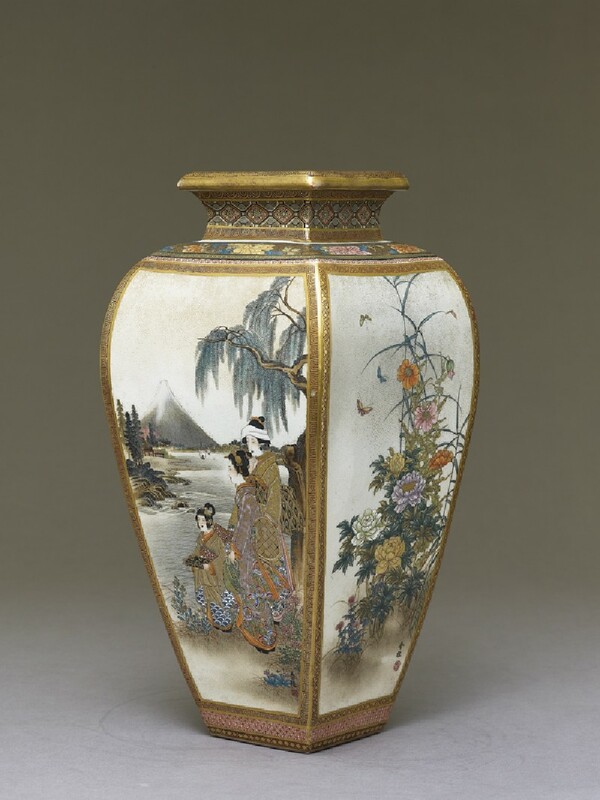 The sides elaborately enameled with scenes of women and children and flowers and animals. Seal on base: Kyōto Hōzan. Each painted panel signed: Shunkei with different seals: Uzaki. As the so-called Satsuma style in Kyōto increased in sophistication in such examples as this, and at the factory of Kinkōzan, the individual painters often signed their better work, though we lack information on their identities.